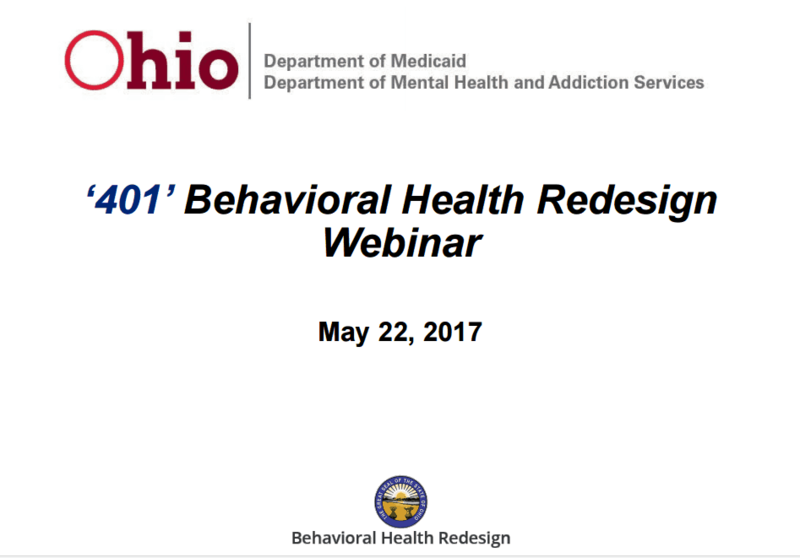 Ohio Behavioral Health Redesign Update! At this time, there are still many questions regarding the materials provided to agency’s including variances between the Coding Workbook, Manual and the Provider aid given to us to interpret the massive coding changes. It was just stated that the current workbook does have issues and a new updated version will be loaded soon. Click on the logo below for the full slide deck.